Vilmos Palya gained his veterinary qualification at the Hungarian University of Veterinary Science in 1966. In 1968 he joined the Veterinary Institute at Békéscsaba where he had been working first as a pathologist and then established the diagnostic virological laboratory, which he headed for almost 15 years. Through the knowledge gained by investigating diseases under field conditions, he always connected the field with science. In collaboration with research institutes and universities he has been involved in applied research, like pioneer works on poultry vibrio hepatitis, duck plague, inclusion hepatitis and infectious bursal disease. In 1988 Vilmos moved to Phylaxia Veterinary Biologicals, where he was involved in improving conventional vaccines (ND, IB) as well as developing a new generation of vaccines (e.g., immuno-complex IBD, recombinant HVT-ND, HVT-AI, HVT-IBD). During these years his interest in disease diagnosis continued, with the first description of some viral newly emerging diseases in waterfowl (e.g., reovirus and adenovirus infection of goose, parvovirus infection of mulard ducks, flavivirus and circovirus infection). He wrote the section on Parvovirus Infections of Waterfowl in the 13th edition of Diseases of Poultry. During the 1990s he was also working for several years as UN/FAO vaccine expert in African, Middle East and Asian countries to train local veterinarians and laboratory staff in vaccine manufacturing and control, as well as to support disease control/eradication programmes. Vilmos has published over 90 peer-reviewed articles. Acknowledging his contribution to the training of poultry veterinarians he was recognised as Honorary Professor by the Faculty of Veterinary Science of St Steve University, Hungary in 2007. He also received the award of ‘Ferenc Hutyra’ plaquette by the Hungarian Society of Veterinarians. He is an active member of the Hungarian Society of Veterinarians, Hungarian Society of Microbiology, World Veterinary Poultry Association, American Association of Avian Pathologists and International Association of Biological Standardization. Outside his professional work, he enjoys gardening, discovering nature and travelling. 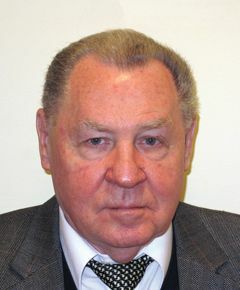 He is married to Eva-Maria and is the proud father of one son Illes and one daughter Aniko, and three grandchildren.